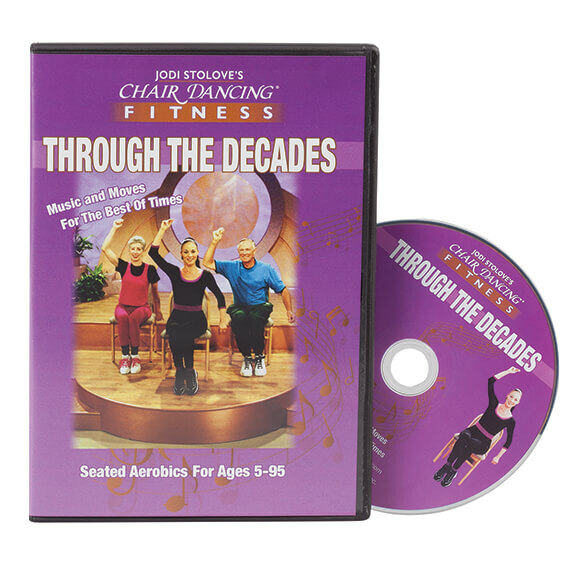 Chair Dancing® Fitness Through the Decades DVD makes fitness fun for all ages and abilities! You'll love the music and moves from the best of times, including the Charleston, big band swing, rock ‘n' roll, hand jive, twist, Motown, disco, hip-hop and New Age cool-down. Safe, no-impact exercise for seniors helps with cardiovascular health, muscle toning, flexibility and range of motion. This dancing through the decades chair dancing for seniors can be done while seated or standing, so it's perfect for anyone with limited strength or mobility.